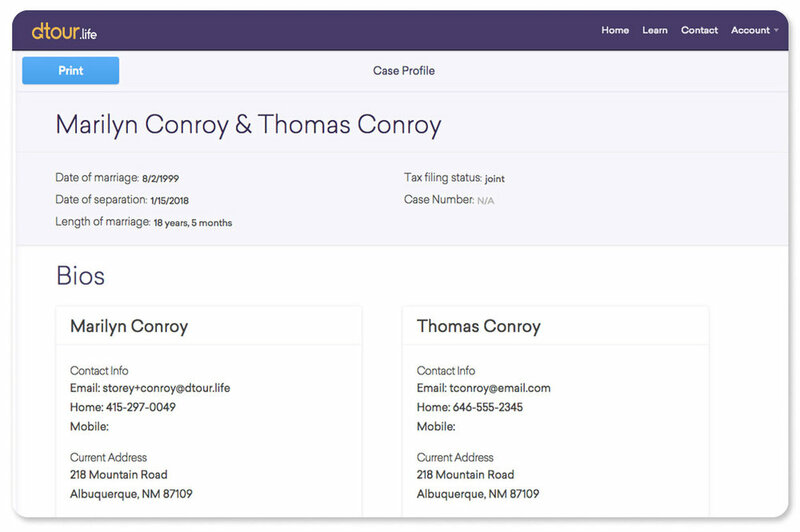 Invite your divorce professional (or your client) and digitally share all case data, reports and uploaded documents. Answer a series of simple questions to provide all family facts to your legal professional. This will save you significant time and money and ensure more accurate guidance upfront. Directly sync to your banks/credit cards and download all transaction data. Share your cash flow report with your lawyer to begin the support process and to complete the state divorce paperwork. Manual entry also available. Easy-to-use system for organizing all the required information for your assets and debts. 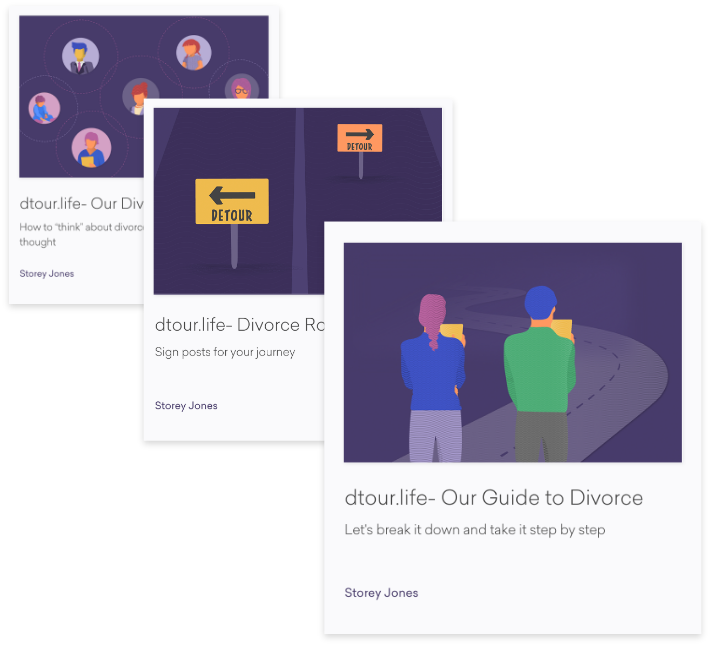 Our divorce knowledge center contains a suite of articles to help provide a framework for how to think about the process, how to prepare, how to work with your professional, how to approach a parenting plan and many other aspects of the complex and challenging transition.